Alliances, Coordination Hub represent next stages of program to improve US STEM ecosystem. The National Science Foundation (NSF) has issued new awards that represent the next major step for its NSF INCLUDES program — the development of a national network to enhance U.S. leadership in science, technology, engineering and mathematics (STEM) by broadening participation in those disciplines. The U.S. innovation economy increasingly requires skilled STEM workers — scientists, engineers, technicians and people with STEM backgrounds — to maintain the nation’s status as a global leader. 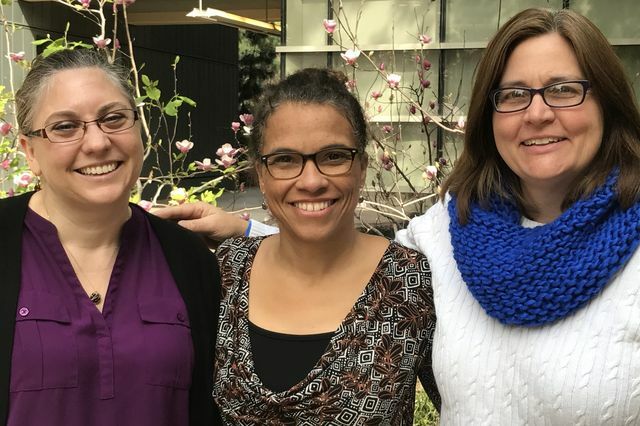 Researchers have identified persistent challenges that limit the access of underrepresented populations to quality STEM education and opportunities for STEM employment. 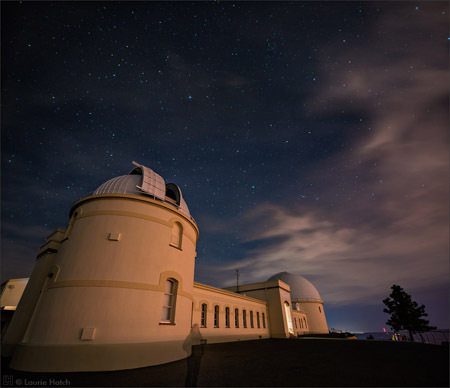 The NSF INCLUDES approach builds on a growing body of scientific research suggesting that complex problems — such as overcoming the barriers many groups face in accessing STEM opportunities — are best addressed through structured, collaborative partnerships focused on finding solutions through common goals and shared metrics. For decades, NSF and its partners have sought to create opportunities in STEM for all U.S. residents, ensuring that no matter who they are or where they come from, they have access to education and employment. NSF INCLUDES, one of the foundation’s 10 Big Ideas for Future Investment, seeks to enhance collaboration among those working to broaden participation in STEM, to strengthen existing relationships, bring in new partners and provide resources and support to enhance their work. 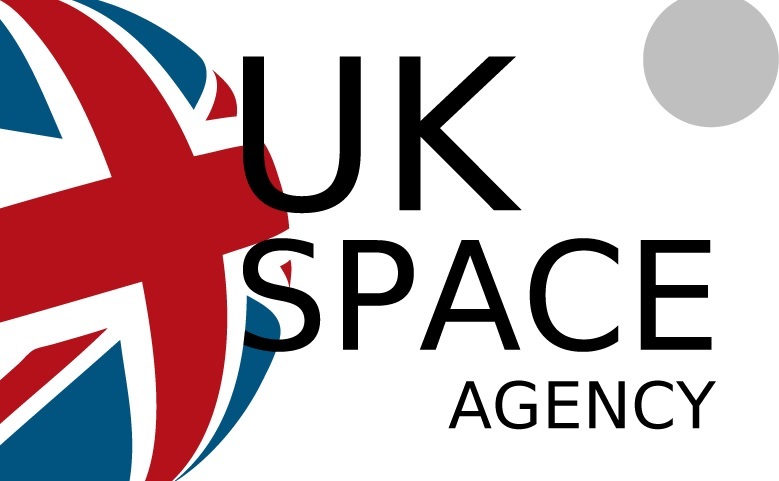 A STEM Professionals in Schools partnership in action. The STEM Professionals in Schools program partners engineers (and other experts in science, technology, and mathematics), with primary and high school teachers around Australia. Through these partnerships teachers and their students are able to learn more about modern engineering and how scientific principles taught in the classroom are applied in today’s engineering workplaces. The volunteer engineers who participate in the program are also given the opportunity to share their knowledge with the next generation of potential engineers – and have a lot of fun in the process. The purpose behind the program is not all fun and games however, as it strives to address the issue that in Australia there is a decline in the number of students participating in science, technology, engineering and maths (STEM) at school and who are considering careers in STEM. For example, the National Innovation and Science Agenda states that ‘over the next decade an estimated 75 per cent of jobs in the fastest-growing industries will need skills in science, technology, engineering and mathematics (STEM)’. However, student participation in year 12 maths and science subjects is declining, and for science it is at the lowest rate in 20 years. As a result, two objectives of the Australian government are to engage all Australians in science, and build our scientific capability and skills. 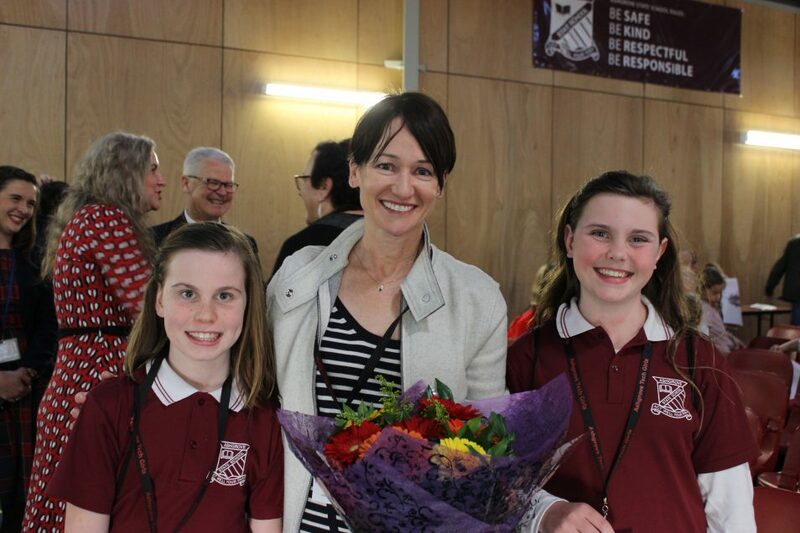 Sharon Allen is the Surface Engineer Manager at Origin Energy, and she has volunteered with the STEM Professionals in Schools program for more than a year. Partnering with Ashgrove State School in Brisbane, QLD, Sharon and her partnered teachers arranged for Sharon to visit the school on six occasions in 2017 to run a variety of activities based on the needs of the teacher and the age of the students. Engineer Sharon Allen with students at the Tech Girlz Conference. “I worked with the school to identify areas of the curriculum that I had interest and expertise in, so that by simply sharing some of my most fundamental knowledge from my work, I’m able to give examples of how the science lessons taught in the classroom come into play to make an impact in real world situations,” said Sharon. Some of the activities included a viscosity experiment with grade three students (measuring the time it takes for a marble to fall through liquids of different viscosities, or the same liquid at different temperatures), making models of molecules with grade five students (creating water, methane, nitrogen, and salt from the elements from the periodic table), and Sharon also gave a presentation on energy and electricity to grade six students. Despite research showing the females and males perform at a similar level of ability in maths and science subjects, there is a higher proportion of male graduates in STEM related fields than female graduates. Gender imbalance presents a concern for the development of a more robust STEM career path and ultimately STEM related industries. 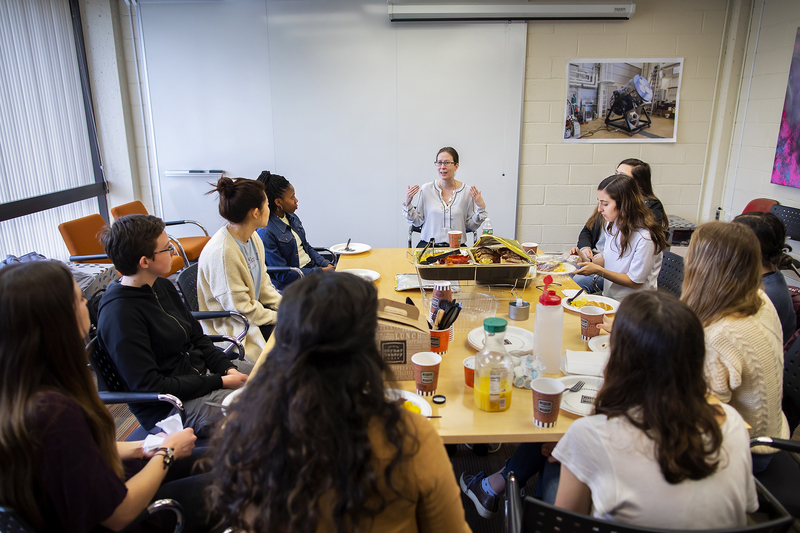 Sharon said that although there seems to have been a shift in recent years in the historically male-dominated engineering fields, more change is needed to put engineering on the radar of young girls. “I always enjoyed maths, science and problem solving, and fortunately I had a great maths teacher who made maths fun and inspired me to work hard. Long story short, I find myself today in a job that has taken me all the way around the world and across a number of industries from the pharmaceutical sector to the energy sector, the oil and gas industry, defence and university sector,” said Sharon. 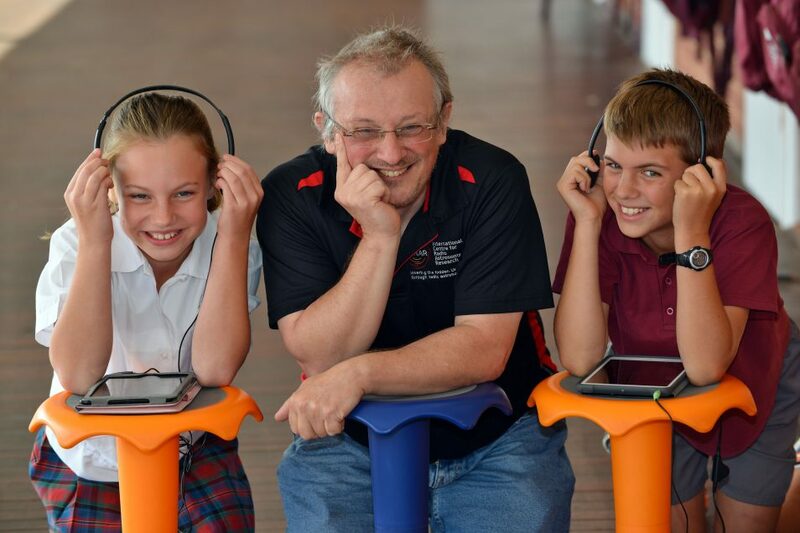 More than 350 Australian schools are today welcoming Science, Technology, Engineering and Maths (STEM) professionals into their classrooms – virtually and physically – to promote the importance of STEM to Australia’s future. Minister for Industry, Innovation and Science, Senator the Hon Arthur Sinodinos AO talks to Gundaroo primary students about all things science during our STEM in Schools event. Minister for Education and Training, Senator the Hon Simon Birmingham working with East Adelaide Primary School students as part of STEM in Schools. 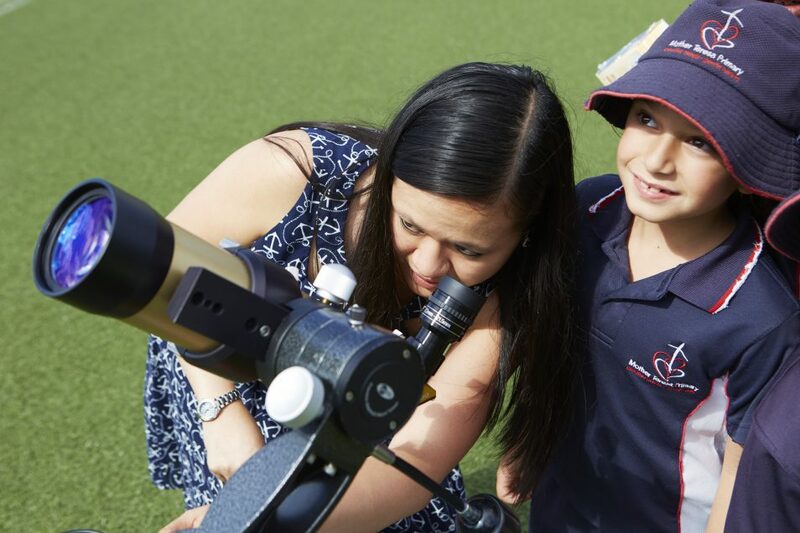 The STEM in Schools event, run by CSIRO, Australia’s national science agency, forms part of National Science Week and will see classrooms across the country come alive with science as students participate in a virtual classroom discussion with STEM professionals working in the international space industry. Many also have the opportunity to take part in hands-on science activities with CSIRO scientists. More than 30 Federal MPs will also head back to school for the day and join students in the activities, underlining the national importance of STEM for Australia’s future. With research indicating that 75 per cent of the fastest growing occupations now require STEM skills and knowledge, it is now more important than ever to engage students in science, technology, engineering and maths. 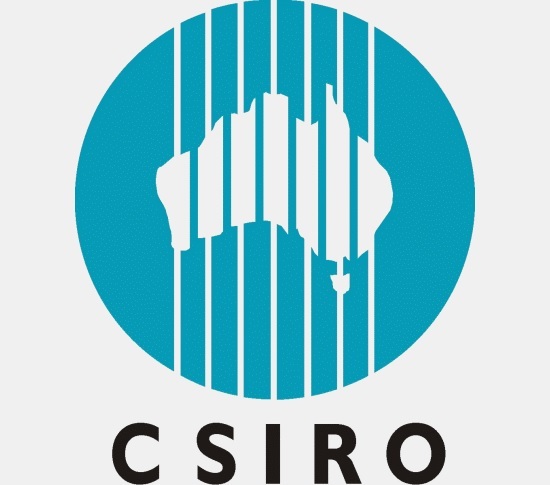 CSIRO Chief Executive Dr Larry Marshall said the event was about inspiring a curiosity and passion in science that will encourage more students to pursue STEM as a foundation of their future. “For Australia to prosper, we need to empower our students to calmly and confidently stare into the face of Australia’s challenges, knowing that science has the power to solve the impossible and turn challenge into opportunity,” Dr Marshall said. STEM in Schools events are taking place in over 350 schools around Australia, with over 70 CSIRO staff and 30 members of parliament visiting schools across the country to conduct activities and share their passion for STEM. Follow the conversation and see all the action from the events across the country with #STEMinSchools on Twitter, Facebook and Instagram. When I came home to Australia to head up the CSIRO, I was on a panel and the moderator told me I was “just a scientist”. The implication was: what would you know about business? Reviewing some of the television interviews given by my predecessor, Megan Clark, I was shocked to hear her called a “head of the nerds”. She laughed it off, but I don’t think I could have. After 26 years in the US I’d forgotten what Australian culture thinks of scientists. Sure, they’re smart, they’re achievers, and they’re important — but don’t ask them about anything other than science. Science becomes very specialised very quickly, and so do markets, so you need to be an endlessly curious person who isn’t afraid to ask questions. That’s definitely at the heart of science training and, I think, at the heart of the best business training. But just because you study science doesn’t mean you can’t do business. In fact, it may prepare you to run companies far better than management courses do, especially in the innovation revolution. We need to embrace a more ­diverse model for success if we’re going to be competitive in an exponentially changing world. People are so much more than the sum of their qualifications, and it’s one-dimensional thinking to try to label them or confine them to a box. Not only is that absurdly narrow minded, it’s also hugely damaging for the next generation of science, technology, engineering and mathematics specialists, kids in school who see that and think, well, I like science but I don’t want to be called a nerd. We need our kids to be empowered to change their world. In the US, they don’t call them nerds — in fact they call some of them billionaires. They drive Ferraris and provide the wisdom and angel funding to the next generation of brilliant minds. They invest in bold, brave, risky new ideas, because they’ve done the maths — and the biology, or chemistry, or physics — to understand how these game-changing benchtop concepts can be turned into world-changing products. You don’t change the world by thinking the same as everyone else; diversity of perspectives is the compass to navigate the ambiguity of innovation. When I look around the Australian venture capital scene, this same false delineation between scientists and business is tripping us over and stopping us from investing in the genius in our own back yards. According to the Australian Private Equity and Venture Capital Association, we’ve had only two Australian venture-backed start-ups make it to Nasdaq: one in 2000, founded by pioneering internet entrepreneurs (Looksmart); the other last year, founded by scientists and run by a PhD chief executive (Quantenna) based on a CSIRO invention. The national sci-tech accelerator, ON, powered by CSIRO, and our new investment fund, Main Sequence Ventures, are just a couple of the ways we’re aiming to break down these barriers and take more great Australian science from benchtop to beta to buyer. You’d be hard-pressed to find a more diverse group than at an ON launch event, and while they certainly don’t conform to “leadership demeanour”, their innovations are game changing, from environment to health, manufacturing, energy, food, agriculture, mining, digital and space. This artificial separation of careers and capabilities has to stop if we’re going to navigate the transition into an innovation economy. We can’t think outside of the box if we’re stuck being squares. Most businesses need more science in their strategy, and the future chief executives of Australian companies can’t be from central casting. 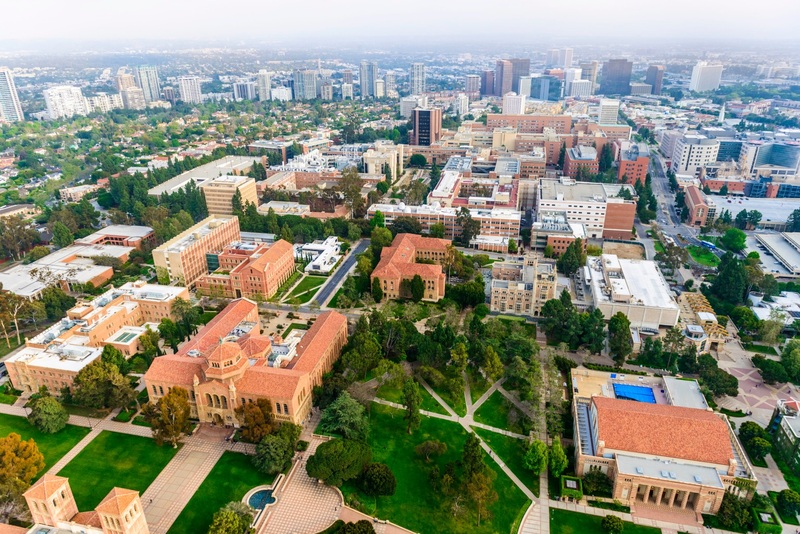 Consider that there is a place in the world where the “nerds” create multi-billion-dollar companies and still take time out to teach at Stanford, and the bankers and lawyers chase them in search of the next unicorn. So the next time you meet a mathematician, don’t assume he’s a professor — he might be the chief executive of Qantas. When you meet a computer scientist, don’t assume the screen to which he’s glued is full of numbers — he could be the chief executive of Netflix. Don’t be surprised that a young woman studying maths and science became chief executive of eBay and later Hewlett Packard Enterprise, or that the chief executive of PepsiCo has a degree in maths and chemistry. But of all the science disciplines, beware the physicists — because they can work out everything from first principles. And while they could be a teacher or a professor, they also could be the founder of Intel, the seed that grew into Silicon Valley; or Space­X and Solar City and Tesla, powering the next generation of energy and exploration; or even a serial entrepreneur with two initial public offerings under their belt, and a plan to catalyse innovation in their home country. The first workshop, to be held in late spring on campus, will focus on advising, tutoring, career contacts with alumni, research activities and other-curricular student support programs and activities. A second workshop in the fall will examine changes in how courses are taught, how grades are assessed and ways to change the culture in and outside the classroom to better support students in their educational goals. A third workshop,to be held next year, will bring all relevant stakeholders together to discuss a variety of issues on which they can work together and to identify gaps that can be filled. 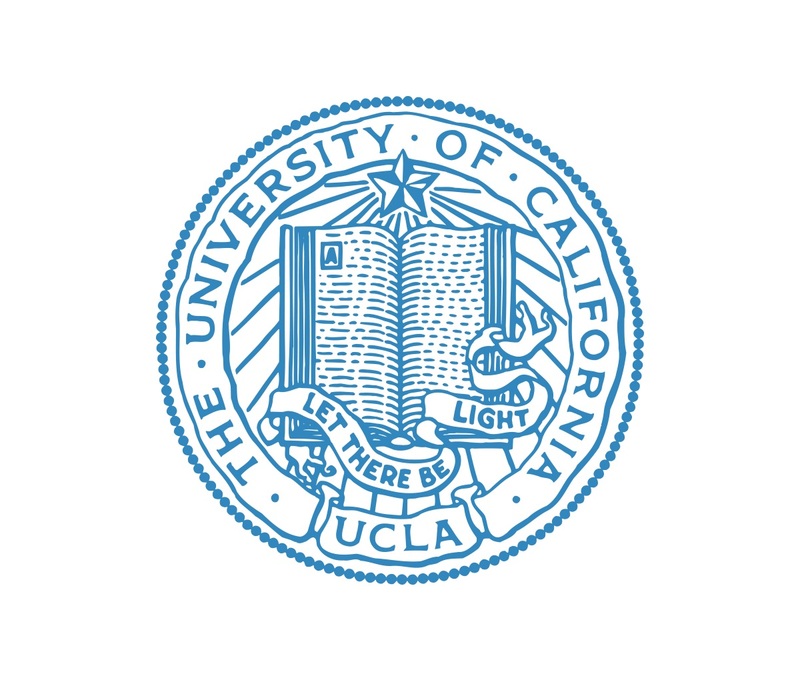 These workshops will be organized by life sciences professors Gina Poe and Megan McEvoy, co-directors of UCLA’s new Center for Opportunities to Maximize Participation, Access, and Student Success (COMPASS) and by Erin Sanders of the Center for Education Innovation and Learning in the Sciences. Nearly 200 STEM stakeholders across campus will be invited to attend the workshops. Each meeting will be attended by the deans of engineering, life sciences, physical sciences, public health, and the dean and vice provost for undergraduate education,. They will use the findings to plan funding priorities and to create lasting change, Poe said. 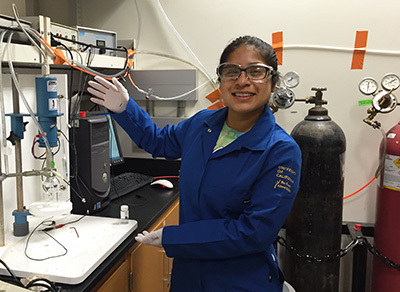 Erika Escalona in the laboratory of chemistry professor Shaowei Chen at UCSC, where she did a research project on graphene quantum dots for her summer internship. Aptos High School student Erika Escalona liked high school chemistry, but she wasn’t sure how far she wanted to pursue the subject until last summer, when she did a research project in the lab of chemistry professor Shaowei Chen at UC Santa Cruz. “Now I totally know I want to do chemistry,” said Escalona, one of 142 high school students (a record number) who did research projects at UC Santa Cruz last summer through the Science Internship Program (SIP). Chemistry graduate student René Mercado was Escalona’s mentor, and they still keep in touch. Escalona plans to major in chemistry at Princeton University, where she will start as a freshman in the fall. When she spoke about her experience in the program at an SIP reunion in December, it was a proud moment for her parents, both Mexican immigrants who had to quit school and start working before they got beyond elementary school. 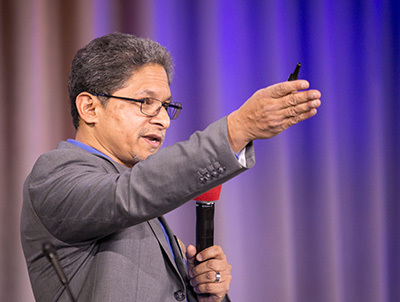 “Every one of these stories means a lot to me, because it shows the impact the program can have on students’ lives and the importance of need-based scholarships for students who could not otherwise afford the program,” said Puragra (Raja) GuhaThakurta, a professor of astronomy and astrophysics at UC Santa Cruz who started SIP in 2009. GuhaThakurta organized the reunion for SIP alumni and their families to celebrate the program’s success and to launch a fundraising effort to provide continued support. Google has been a generous supporter of the program and hosted the reunion at the Google campus in Mountain View. A dozen families of SIP alumni have already committed $120,000 in matching funds to help establish an SIP Annual Fund. Among other things, the fund will help SIP develop additional enrichment activities, provide more training for mentors, recruit qualified students from low-income communities, provide need-based scholarships, and recruit a full-time program director. GuhaThakurta said SIP started informally, when he helped a few high school students find computation-based research projects to work on over the summer. He soon discovered that a great many students are interested in such opportunities. 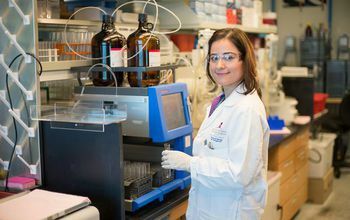 The interns work closely with graduate student mentors in faculty research labs, and the program has grown rapidly as GuhaThakurta has gotten more faculty involved. “I’m trying to encourage other universities to do this, because there’s a huge demand. We’ve found that not only are the students having good experiences, there are also significant benefits for the graduate students who mentor them,” GuhaThakurta said. 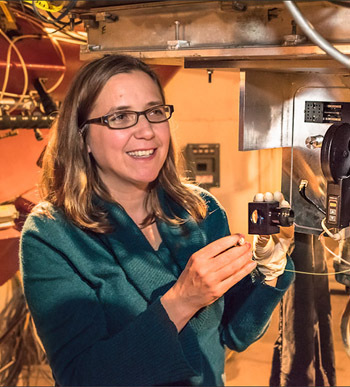 SIP now involves 15 different departments at UC Santa Cruz, offering students opportunities for summer research projects in areas such as astrophysics, biomolecular engineering, chemistry, linguistics, and environmental science. To date, more than 400 students from 90 different high schools have participated in the 10-week program, which involves a deep dive into a real science, technology, engineering, or mathematics (STEM) research project, and also includes workshops, social activities, and field trips. One hallmark of the program from the start has been the remarkable success rate of interns who submit their research projects to national and international science competitions, such as the Siemens Competition in Math, Science & Technology. Last year, SIP interns made up a quarter of the California semifinalists in the Siemens competition. 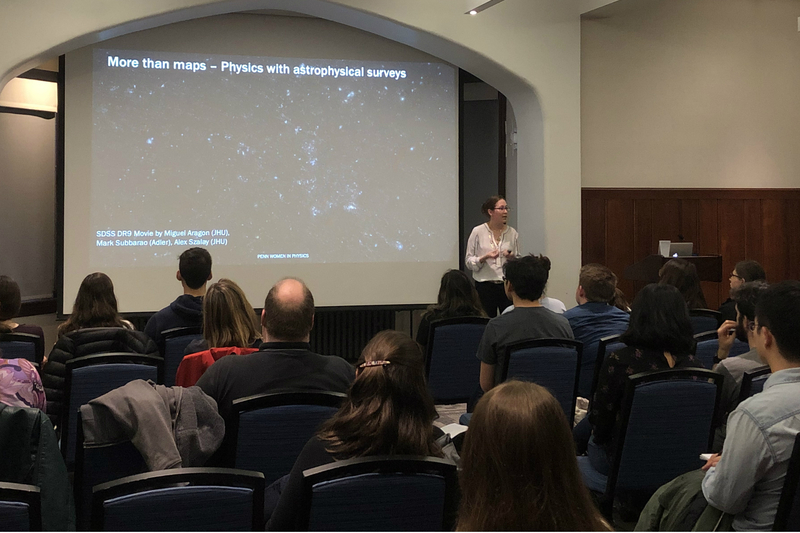 In addition, GuhaThakurta said many of the students who do astrophysics research projects present their findings in poster sessions at American Astronomical Society meetings. Increasing the diversity of SIP students and providing scholarships for those with financial needs have been priorities for GuhaThakurta as the program has grown. He noted the program has always had good gender diversity, with about 60 percent girls all along. “This alone is a big achievement. We’ve found that many of them go on to pursue computer science degrees in college, and women are strongly underrepresented in that field,” GuhaThakurta said. He has been reaching out to regional public schools and partnering with outreach programs such as UCSC’s Educational Partnership Center and Minds Matter of San Francisco to recruit more students from underserved groups. “We’ve had four students from Minds Matter, a great program in San Francisco that focuses on high-achieving low-income students in the public schools. They’re one of seven diversity partners we’re working with to expand our outreach,” GuhaThakurta said.